Last October, the world’s only life-size Bugatti Chiron built entirely from LEGO Technic arrived in London to start its first-ever visit to the UK. 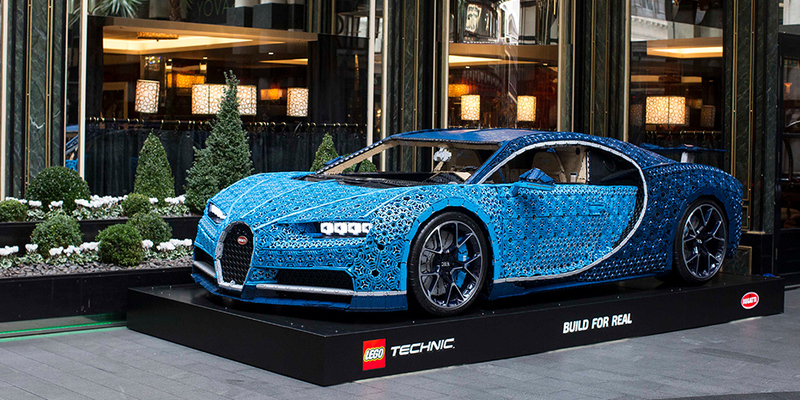 The impressive LEGO Bugatti visited The Savoy and its spiritual home, the Bugatti showroom in Mayfair, before embarking on a tour to visit fans across London, taking in locations including Westfield London and Westfield Stratford City. The one-of-a-kind build has been created by LEGO master builders entirely from LEGO Technic, and was made up of over 1,000,000 elements. It is powered exclusively using 2,304 motors from the LEGO Power Function platform. 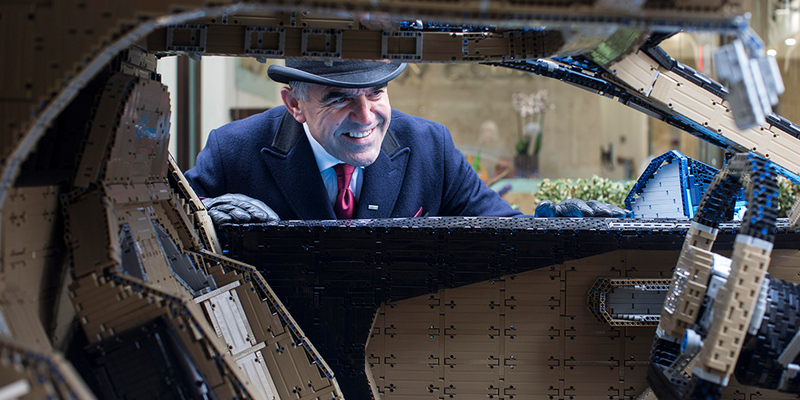 Our world-famous Head Doorman, Tony Cortegaça, who has worked at The Savoy for 32 years, ensured that the LEGO Technic life-size Bugatti received a proper London welcome, as it was displayed outside our renowned hotel.